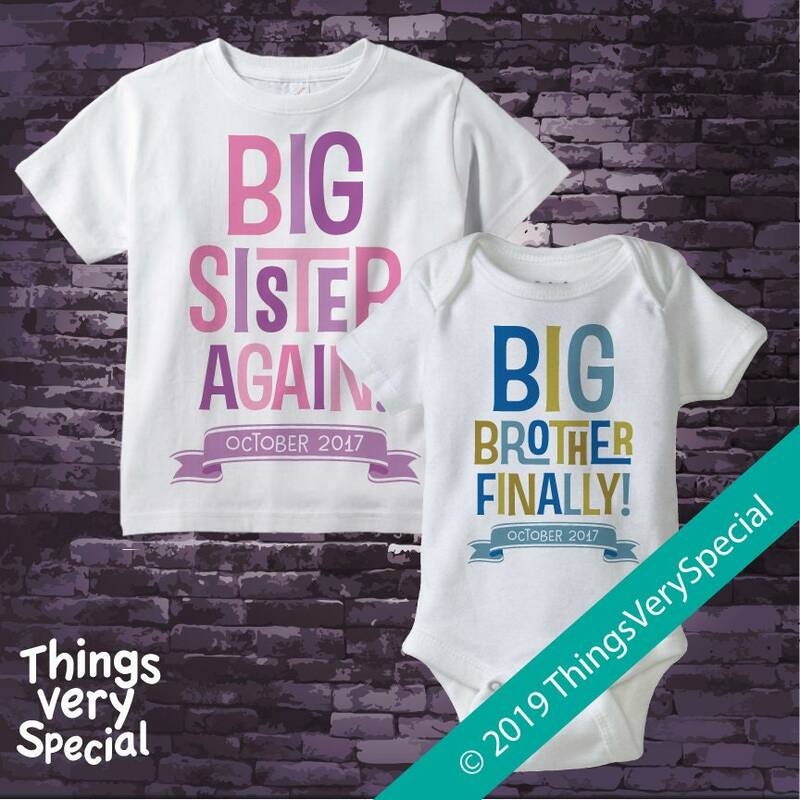 Pink and Purple Big Sister Again and Blue and Golden Promoted to Big Brother Shirt or Gerber Onesie set of two. 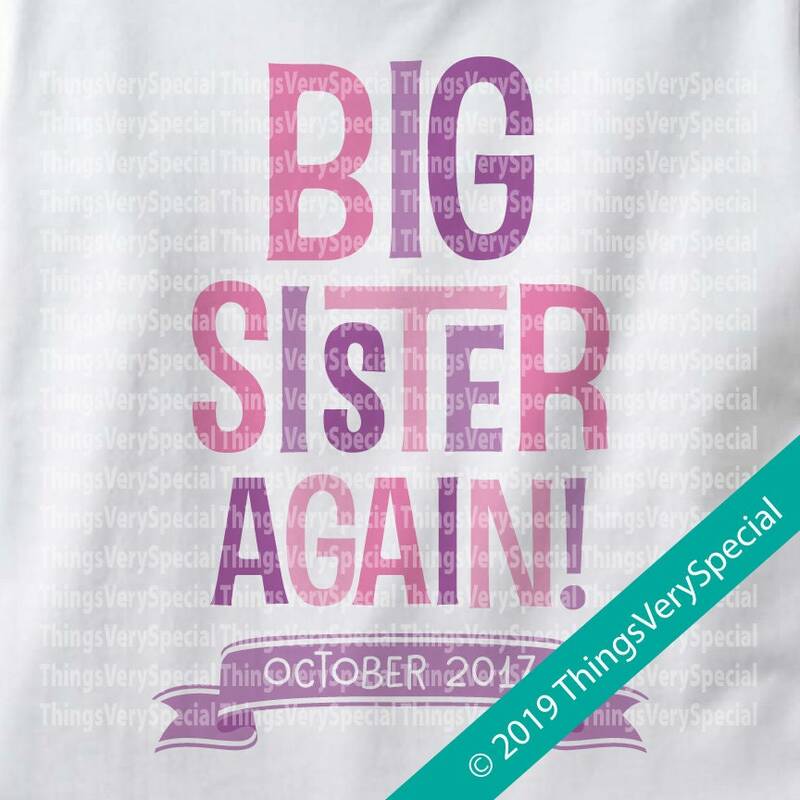 This listing is only available as this exact set Customized with with the new baby's due date. Thedate to go on each item. 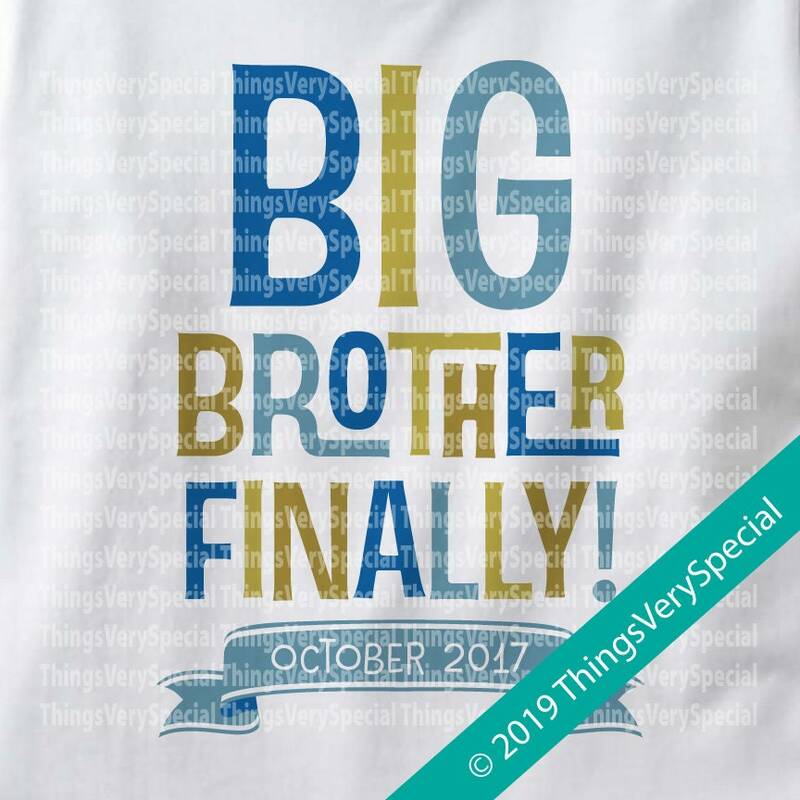 Im so pleased with this shirts for babies!! Can't wait for them to try them out!! !